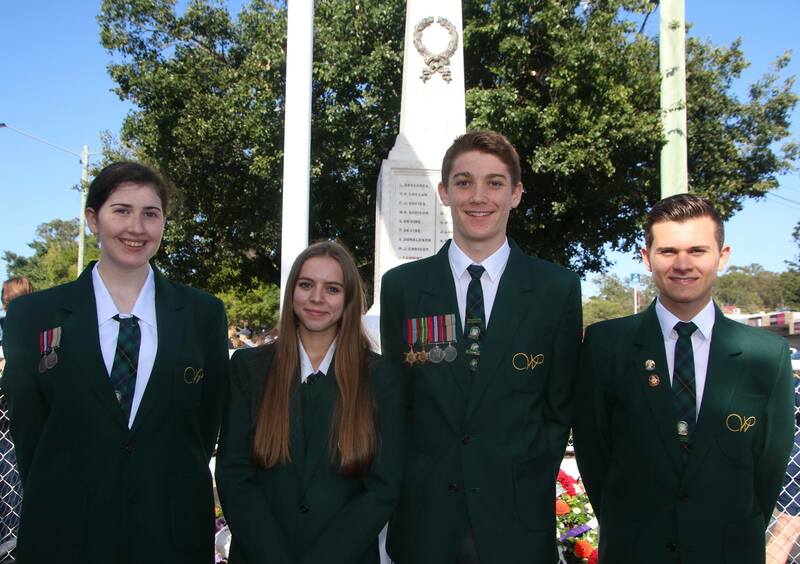 Westside Christian College has always had a positive relationship with the local ANZAC Day Parade organising committee, the Goodna RSL Sub-Branch. In 2015 the College was gifted 22 specially engraved badges with the names of the 22 fallen soldiers who gave their life in service in World War 1. Each hailed from the Goodna area. This year, once again our Senior males were given the opportunity to march behind the veterans in honour of these 22 brave men. The badges contain the names of local soldiers and details of how they died. This information is important to pass on to future generations. All of the young men who marched were about the same age as the men who represented our nation. “It’s a powerful picture and a fitting way to remember those who gave their lives. Westside is proud of how the boys represented our College and themselves with great poise and maturity.“ Reflected Joshua Mansfield, Head of Secondary. Our Boys’ College Captain, Ruben Bauer, addressed the gathered. He recalled the sacrifice of his relatives, going back to his Great Grandfather. Ruben’s speech reflected on sacrifice and what this means to him. He touched the many who also came to reflect, in many cases, on their own relatives who had served. College Vice Captains, Liam Harrigan and Sarah Brain read out the first two resolutions and Girls’ Captain Rachel Fremlin joined Ruben to lay a wreath on behalf of the College.